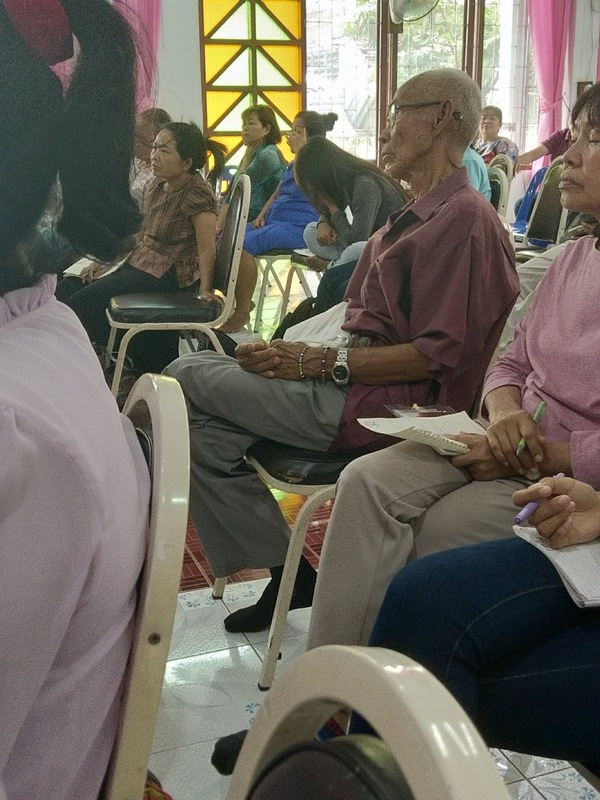 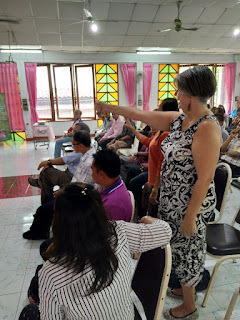 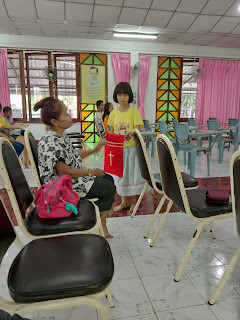 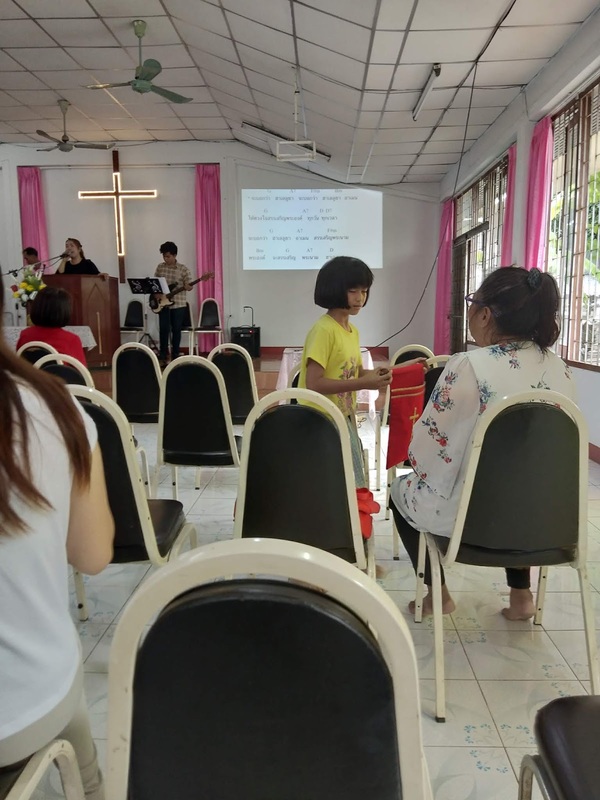 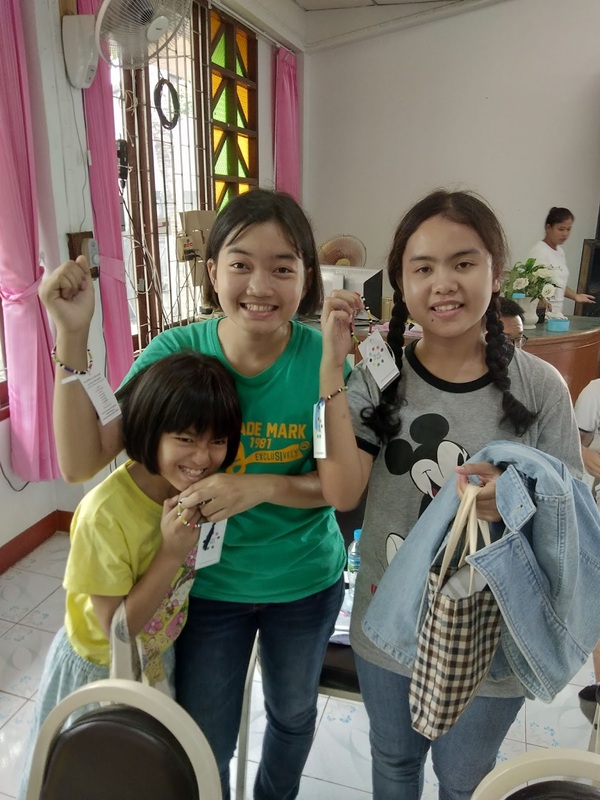 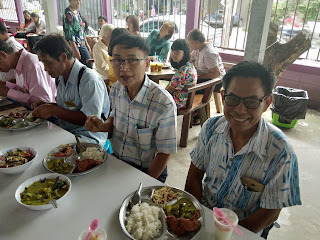 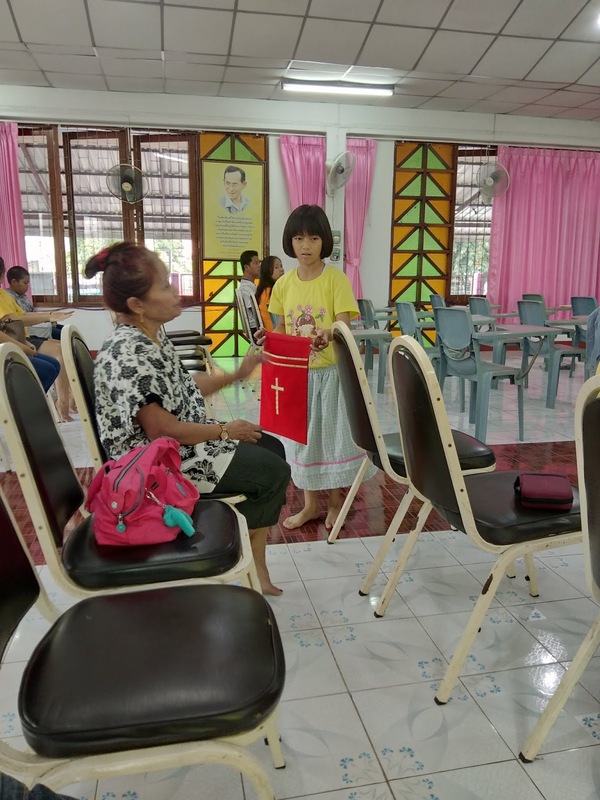 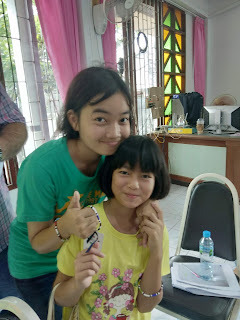 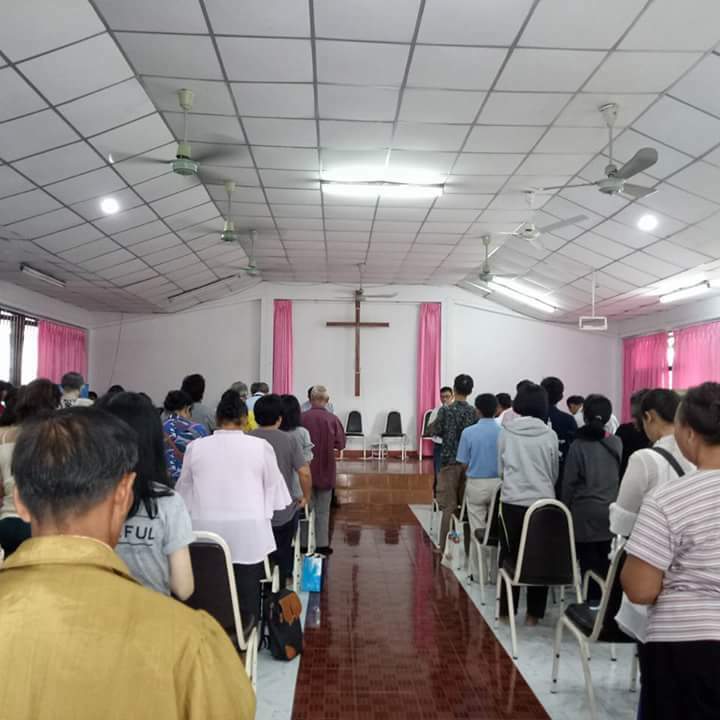 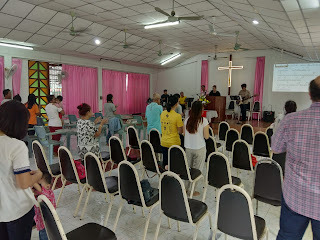 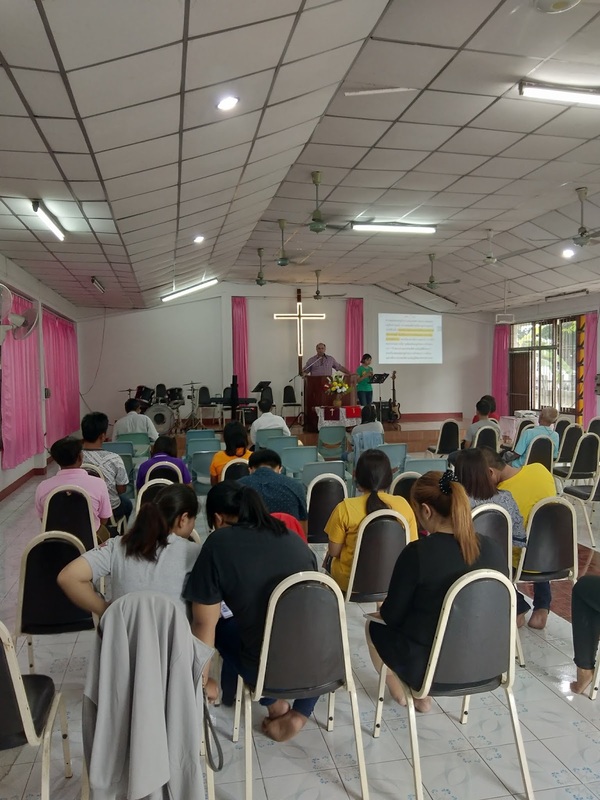 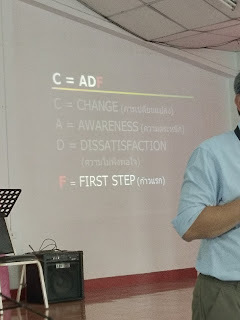 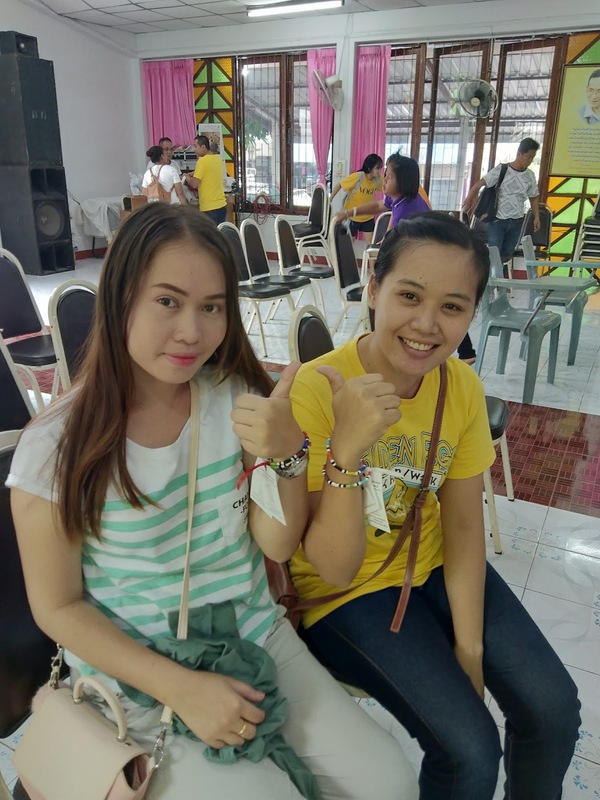 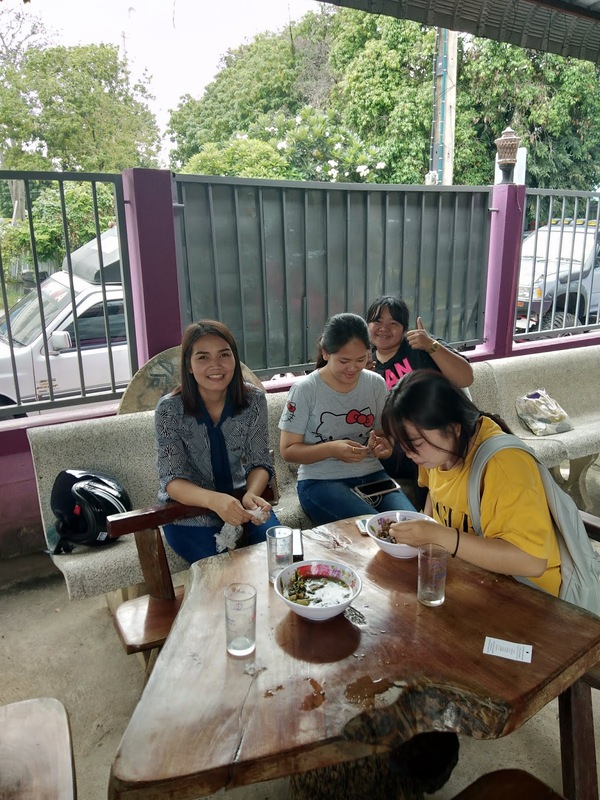 On Saturday 14 July 2018 we attended a workshop held by "Our Daily Bread Ministries" from Bangkok held at the Christian Gospel Church in Sisaket. Their ministry is to create various media material such as tracts, books and videos which can be used in various ways in your own ministry. 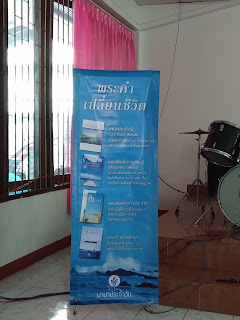 We were excited to see that the info used in all their material is nothing else than Biblical Based Truth and understanding. 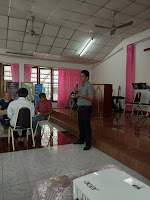 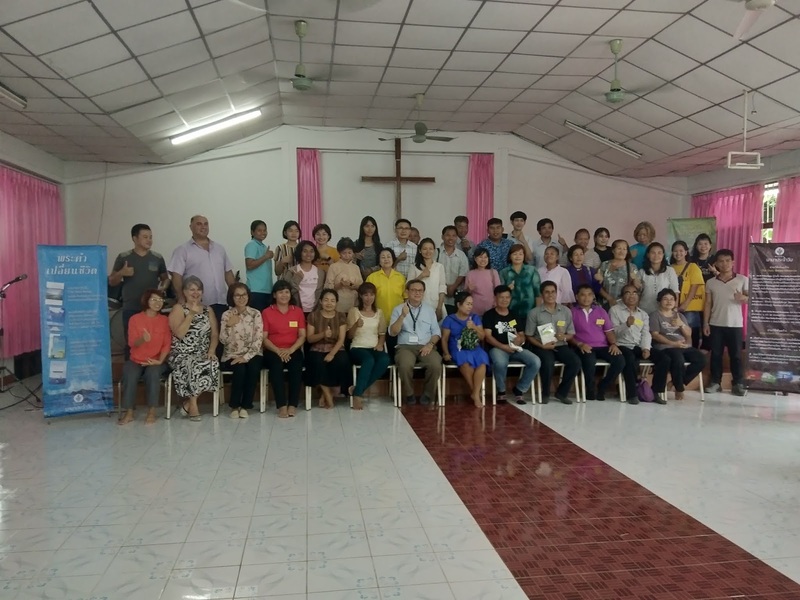 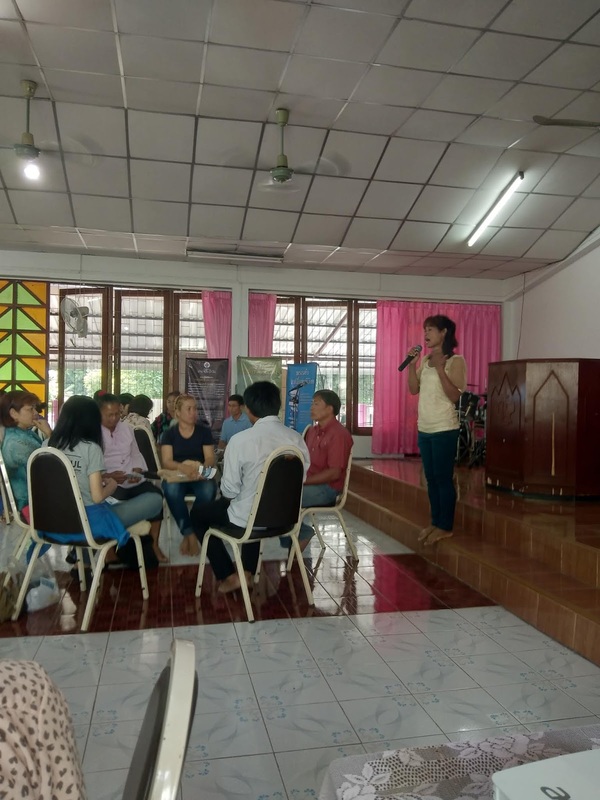 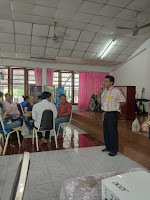 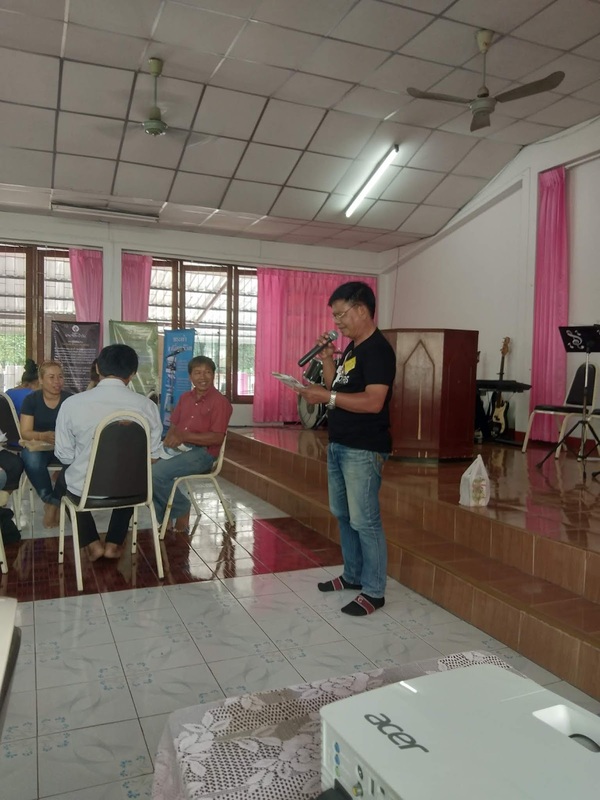 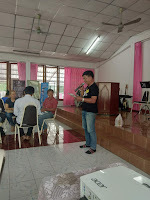 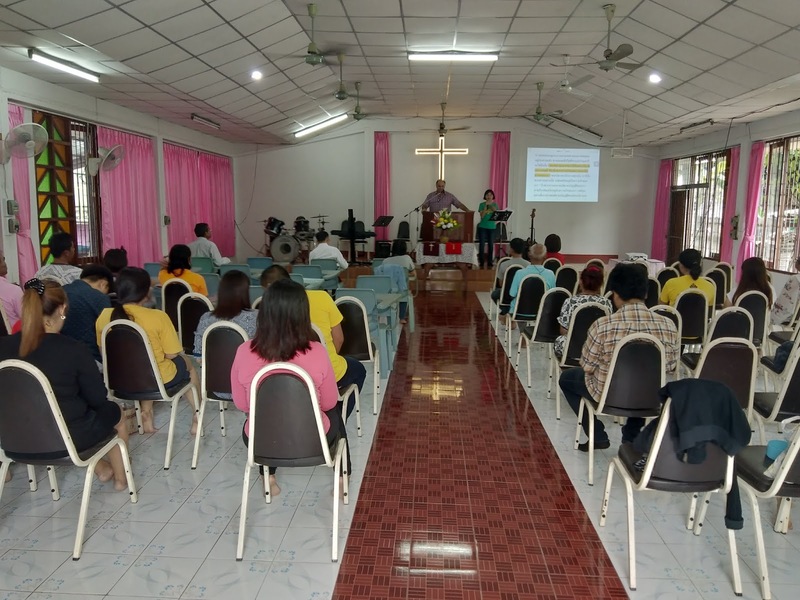 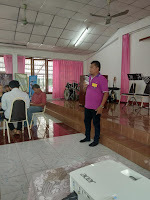 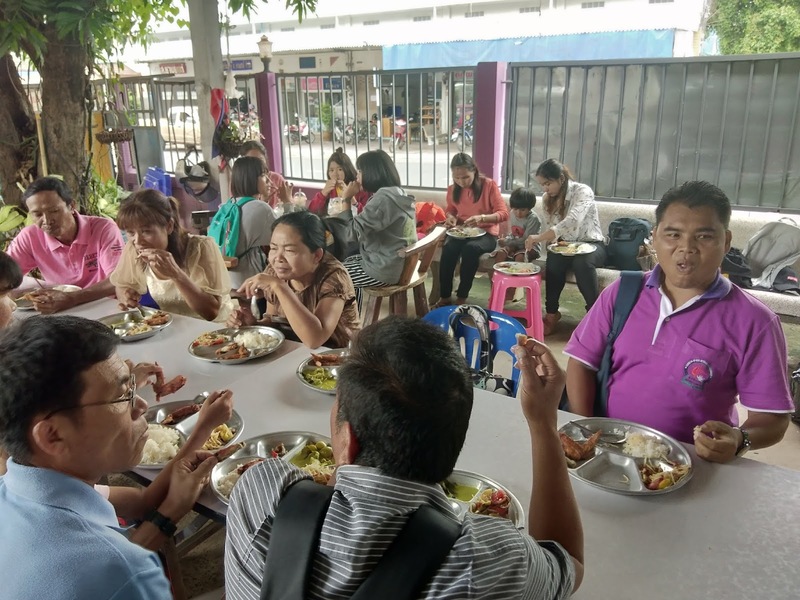 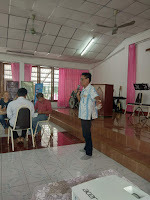 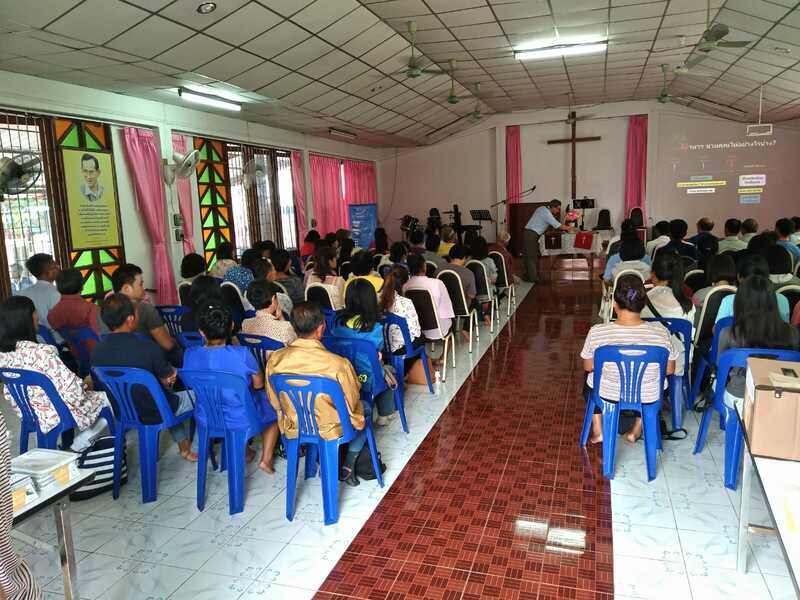 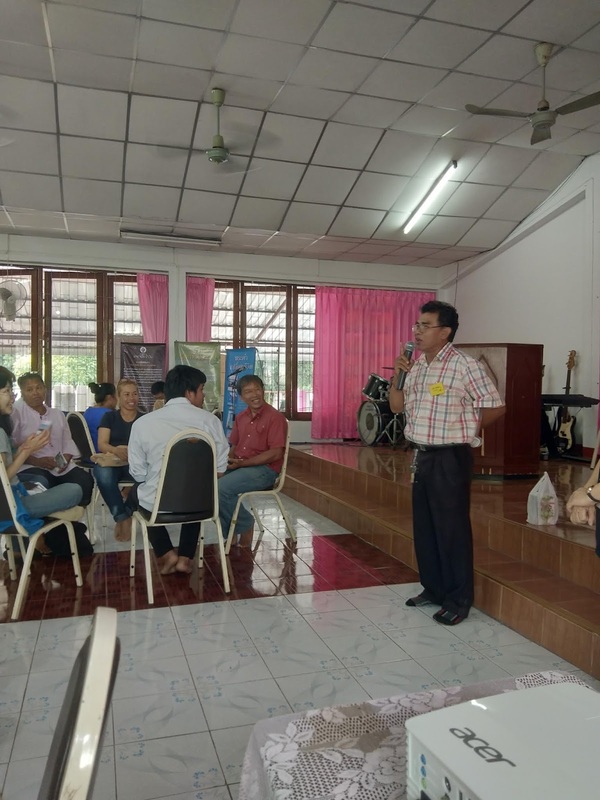 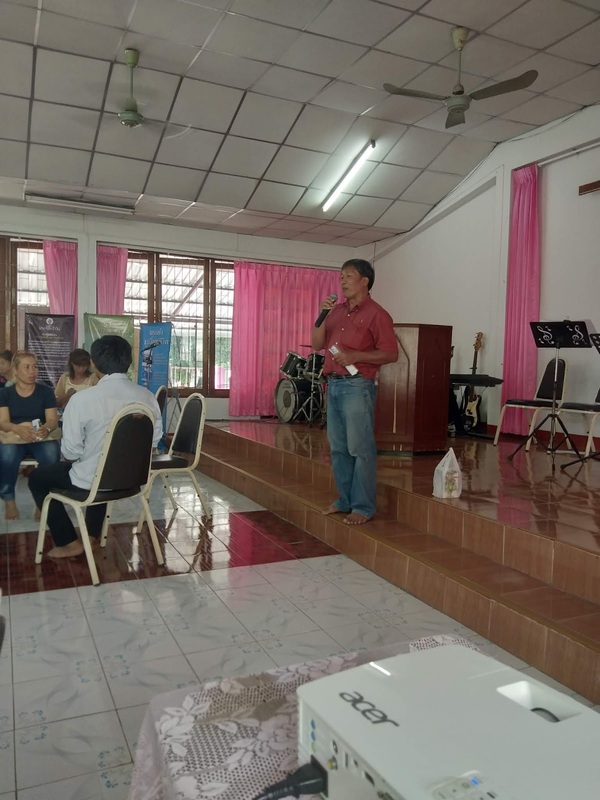 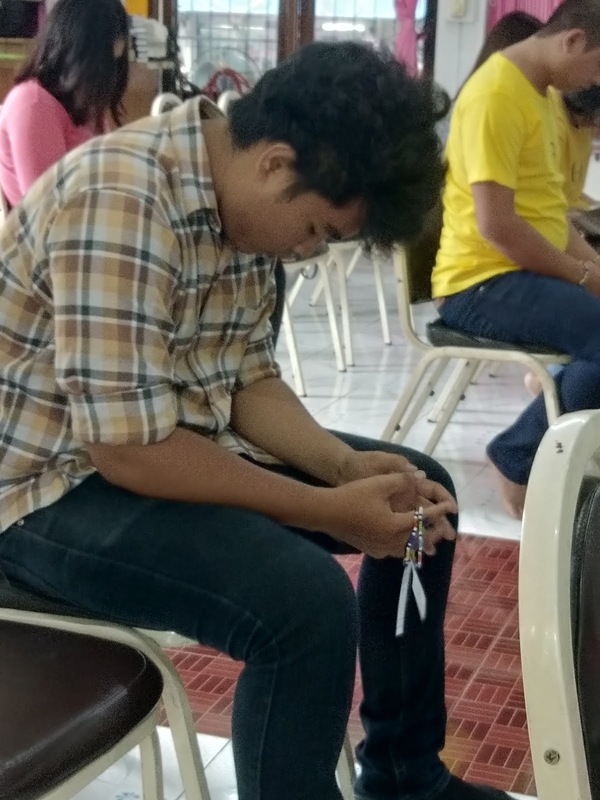 Christians from eight different churches in Sisaket attended the workshop. 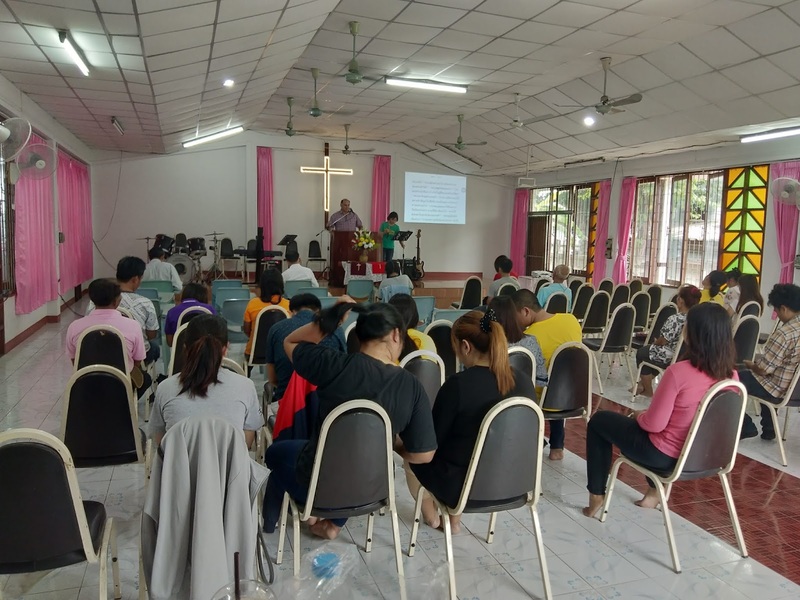 To God all the glory as he brought all eight Church Pastors to attend the workshop and not just members of the various congregations. 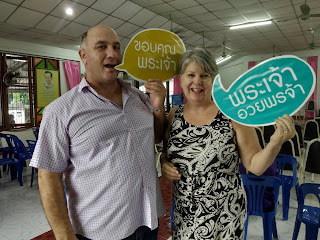 Networking took place and new friends were also being made. We were amazed to hear how Bible Schools around the world adapted and change their method of teaching to keep pace with the forever influence and changes in multimedia. 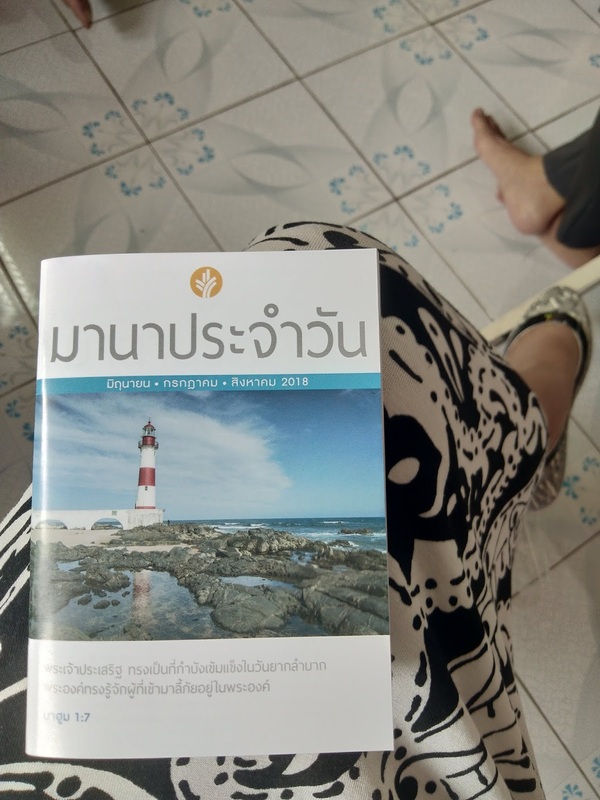 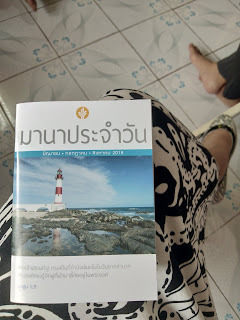 Thai people in general are very lazy to read and prefer electronic use of reading/scanning. 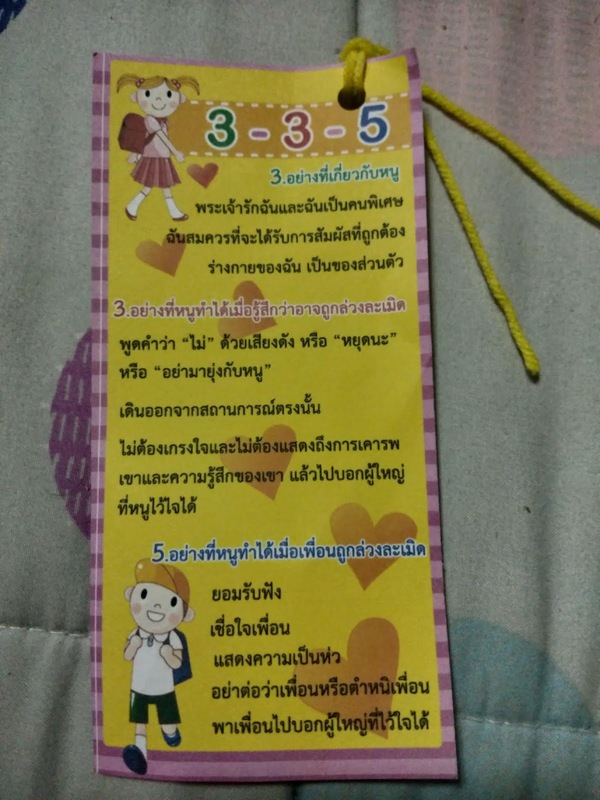 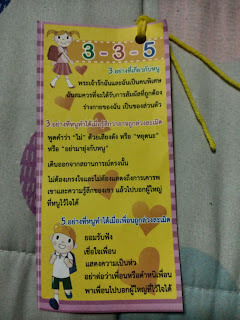 Story books in Thailand don't sell for people are more "facts" orientated and lazy to read. 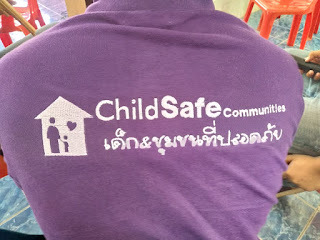 Illiteracy and spontaneous interaction is big problem to deal with here. 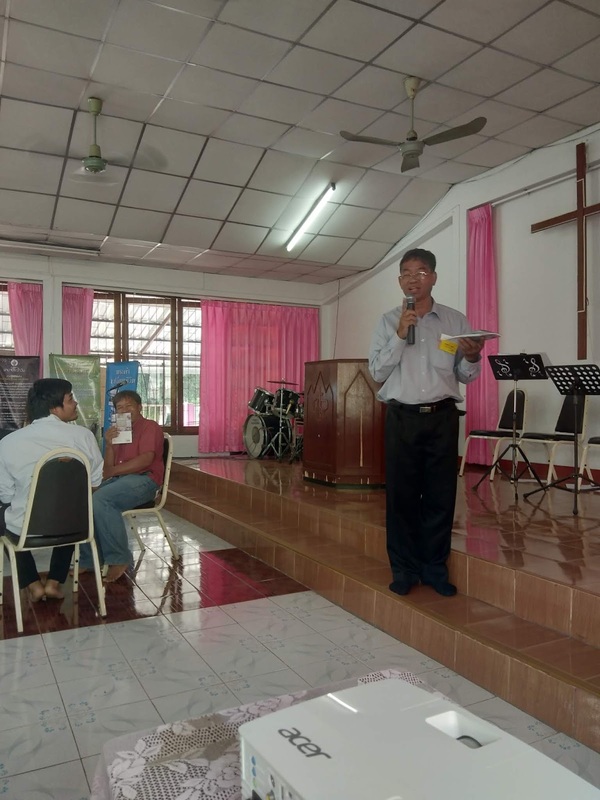 It is hard and difficult for Christians to share their testimonies due to the fact that they do not read and study the Bible as much as they should to. This boils down to that Christians in Churches become less active (evangelizing and sharing testimonies) which is a BIG problem here and a case that needs DRASTIC attention. The morning started of with a game that was played to, in obvious case get the people's energy flowing. 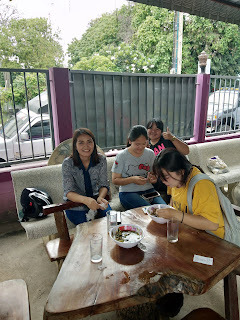 Marina was still standing till the end and it was a battle between her and Pho to be declared as the winner. As you can see here I am shouting out "Thank You God" and Marina shouting "God Bless You"
Our Daily Bread Ministries sharing the work they do. 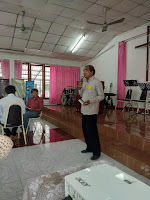 Giving us all feedback on the impact Social Media plays in Evangelism one must say that working in a small place like Kanthararom you get lost in what is happening or one could say the ever developing and expanding of multimedia and it's impact on Evangelism. Here in Kanthararom we still use the "old school" method in just simple personal relationship building in actual conversations looking each other in the eye. 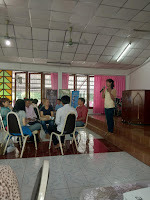 The workshop was extremely interesting both for young and old. Phoo (in the middle), a member of Kanthararom Church celebrated her birthday at the workshop. 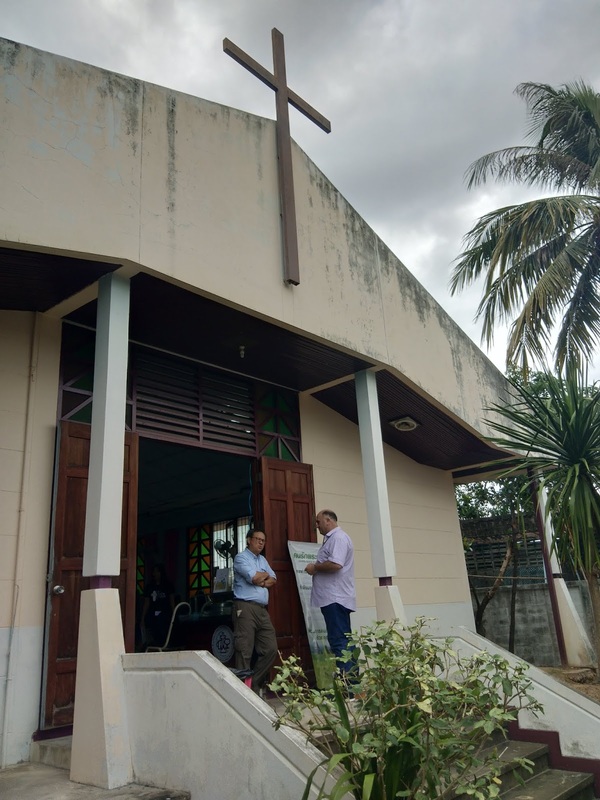 The church leaders who attended gave each individually feedback on the impact multimedia products can have in evangelizing . . . when correctly used off course. 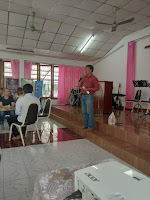 A last word of encouragement shared. 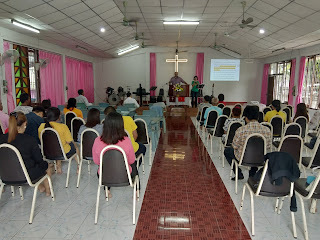 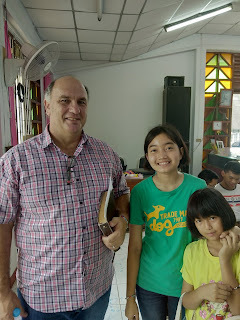 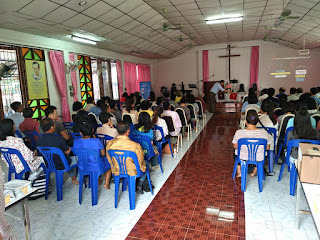 On Sunday 8 July I had the privilege to share God's Word at "Christian Gospel Church" in Sisaket. Sermon was from Galatians 5:22-23 - Fruit of the Spirit. 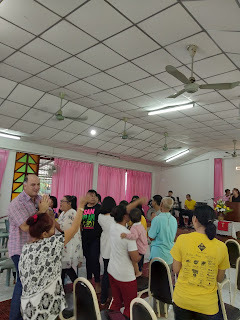 We need both, the power of the Holy Spirit and the fruit of the Holy Spirit. 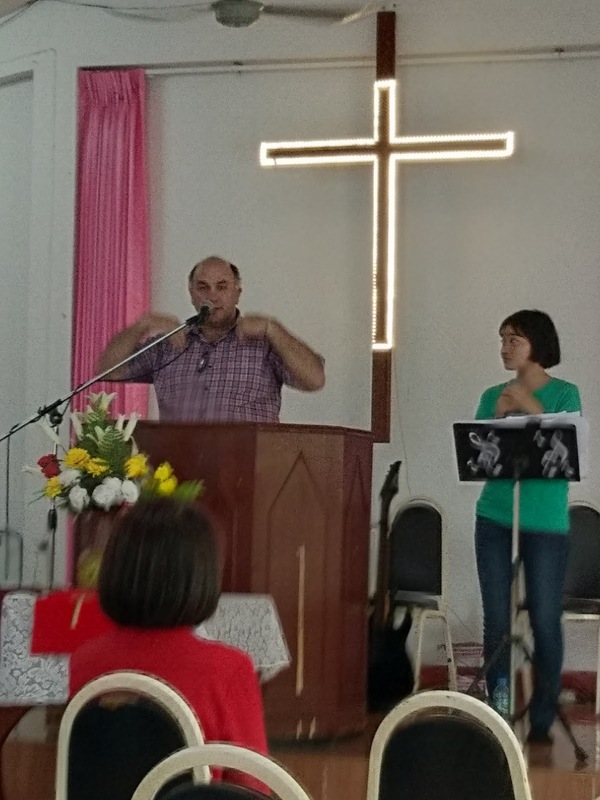 We cannot just have the power of the Holy Spirit and not the fruit of the Holy Spirit. 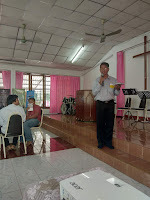 In the long run we need also to develop the fruit of the Holy Spirit to be effective and faithful to God. 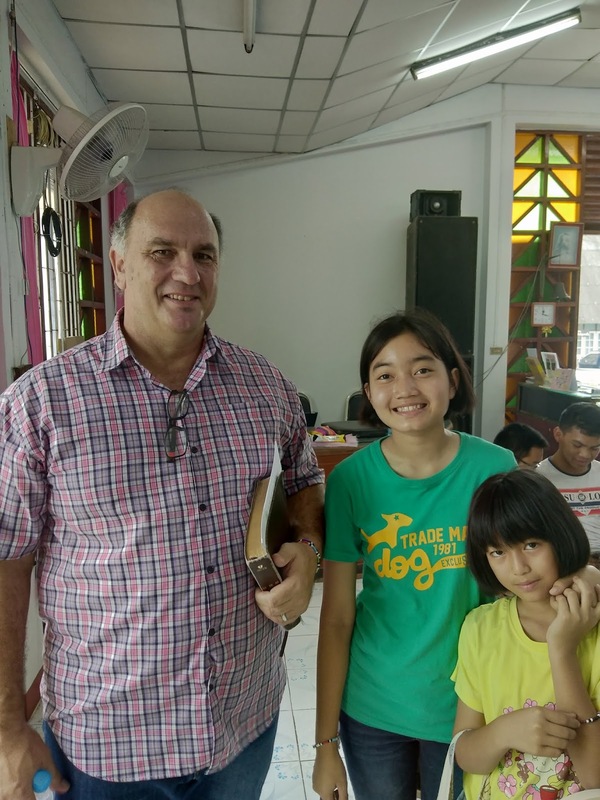 One of the most important things in our lives is the fruit our lives produce. When Jesus looks at our lives He looks at the faith we have in Him and the fruit of how we live. 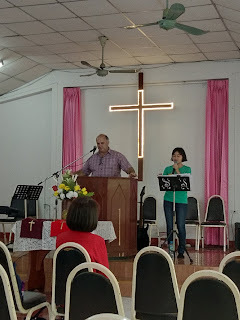 John 15:8 - "My Father is glorified by this: that you produce much fruit and prove to be My disciples"
If you want your life to glorify God in heaven – if you want to be known as His disciple then you must bear fruit. 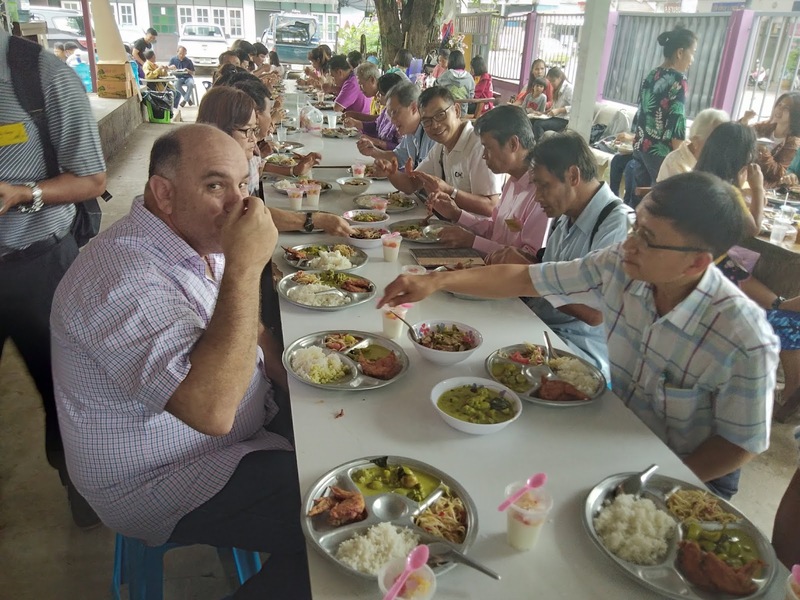 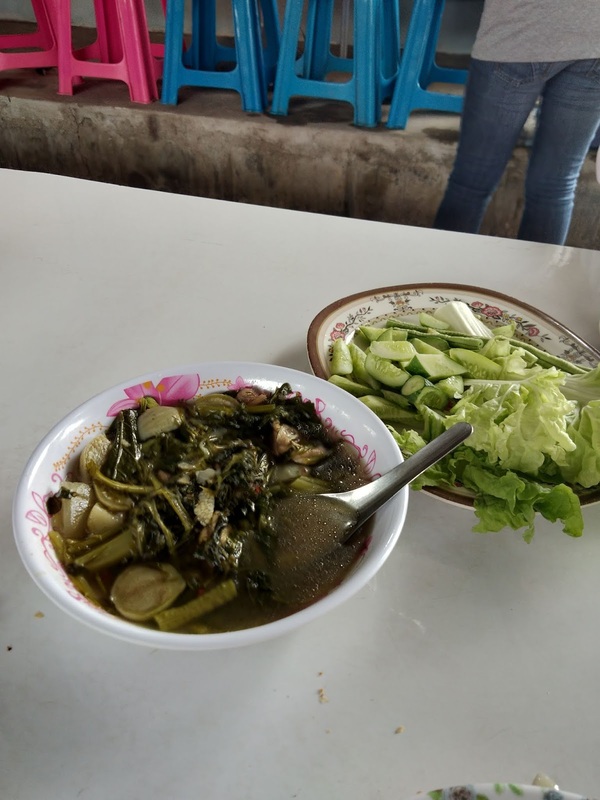 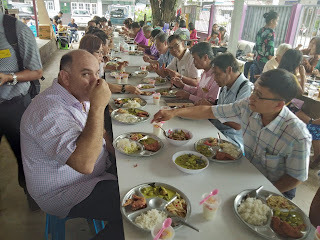 Lunch with our fellow church members. 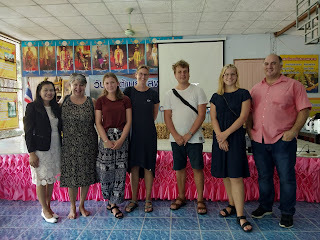 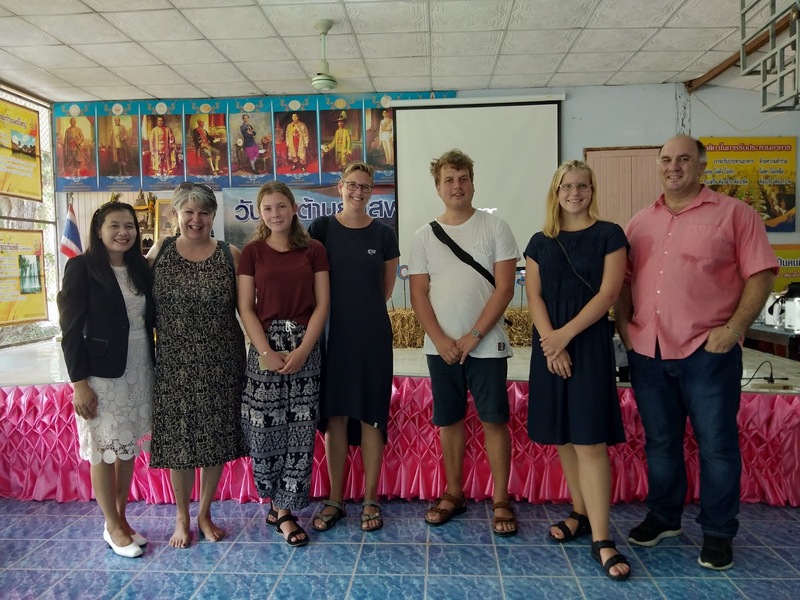 On 5 July we had the privilege and honor to have received an outreach team from "Kldesholmen Church Sweden", visiting us for the morning. 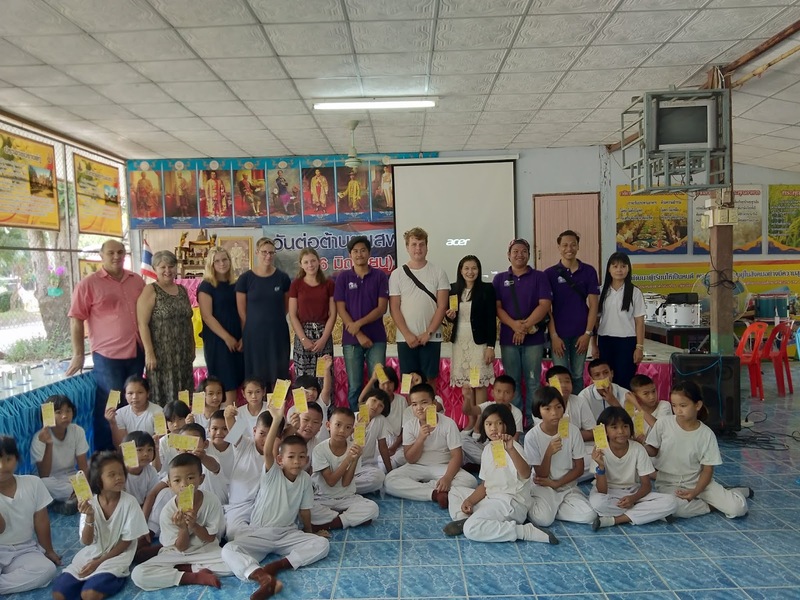 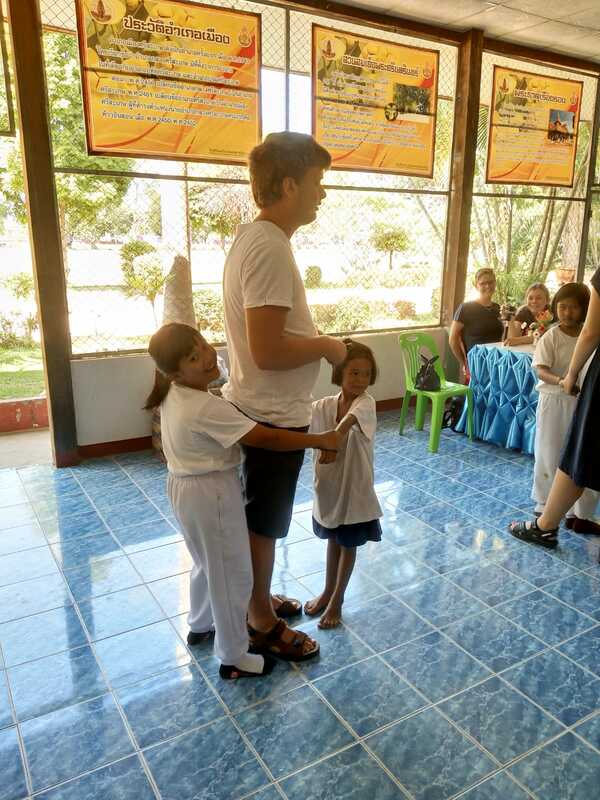 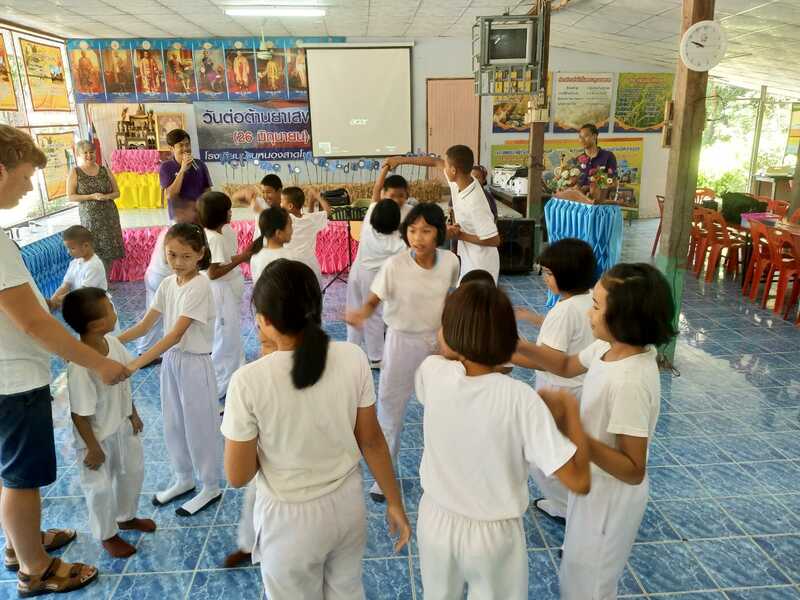 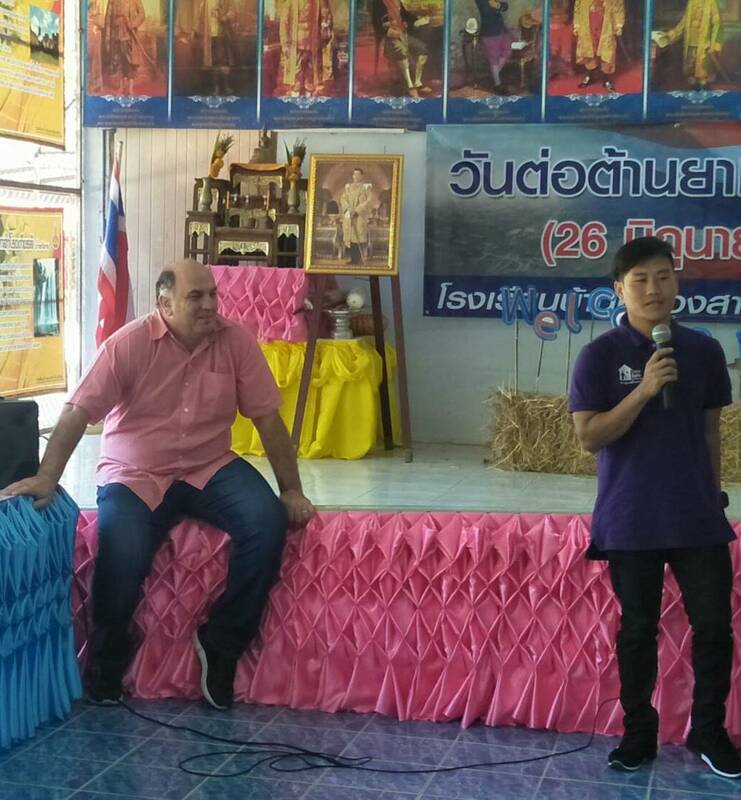 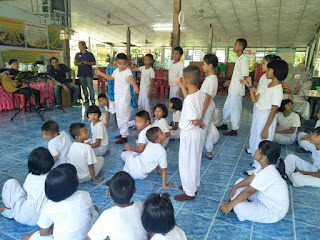 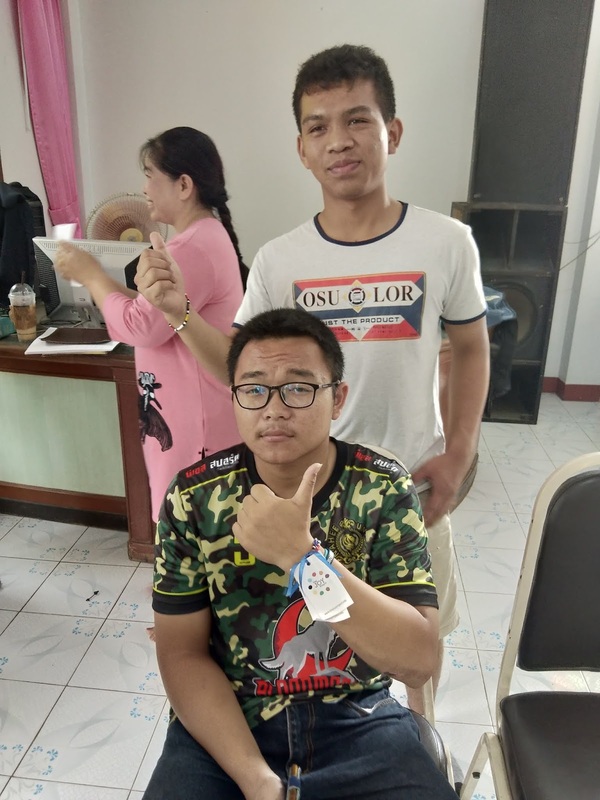 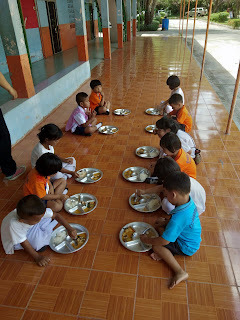 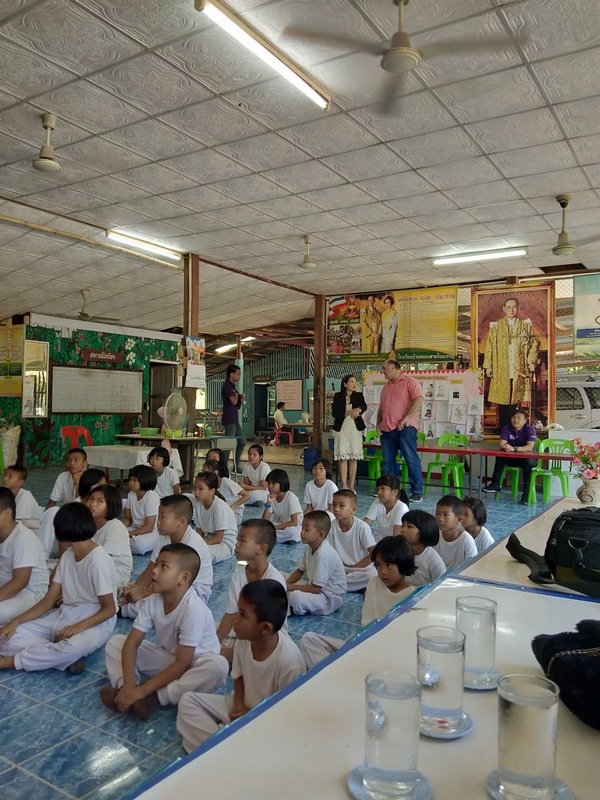 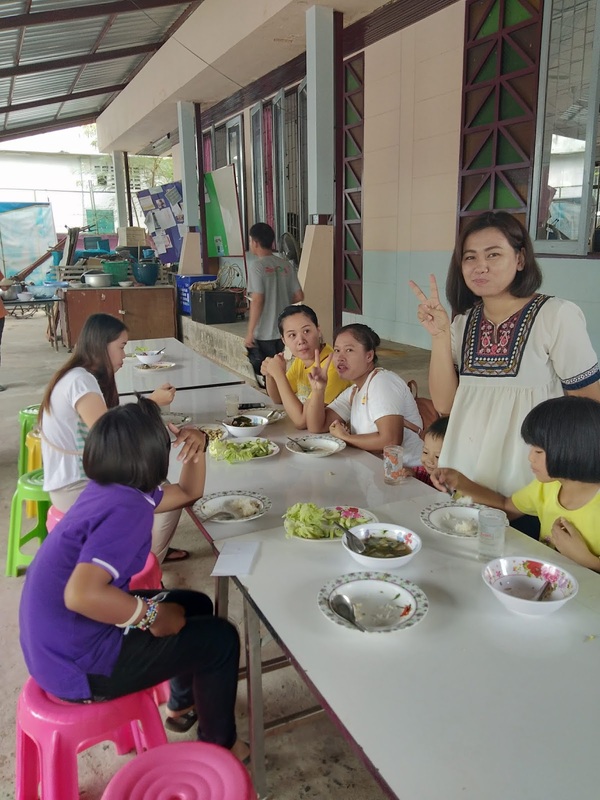 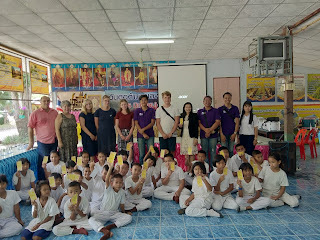 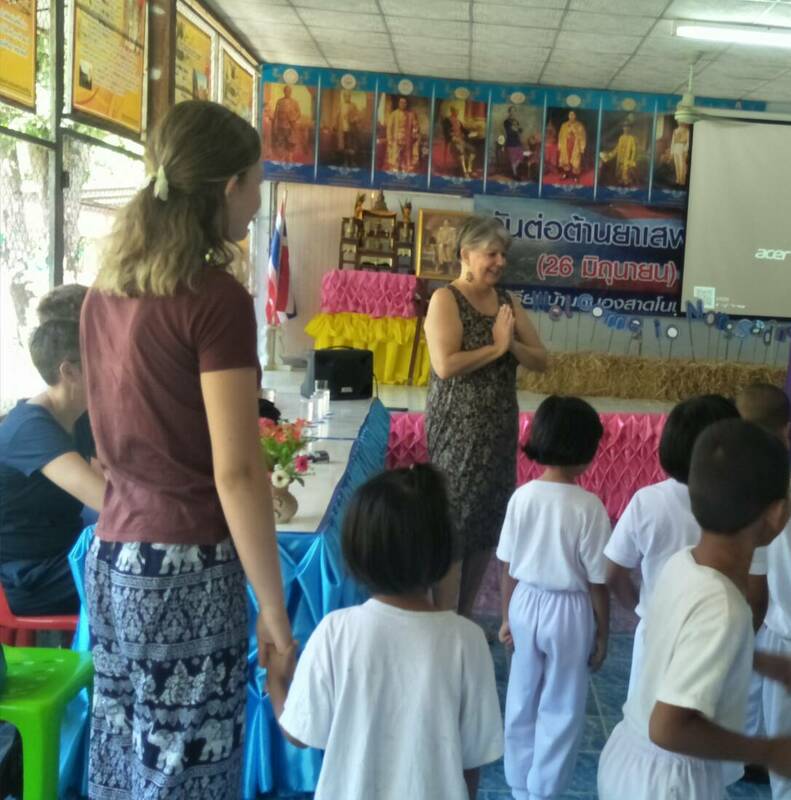 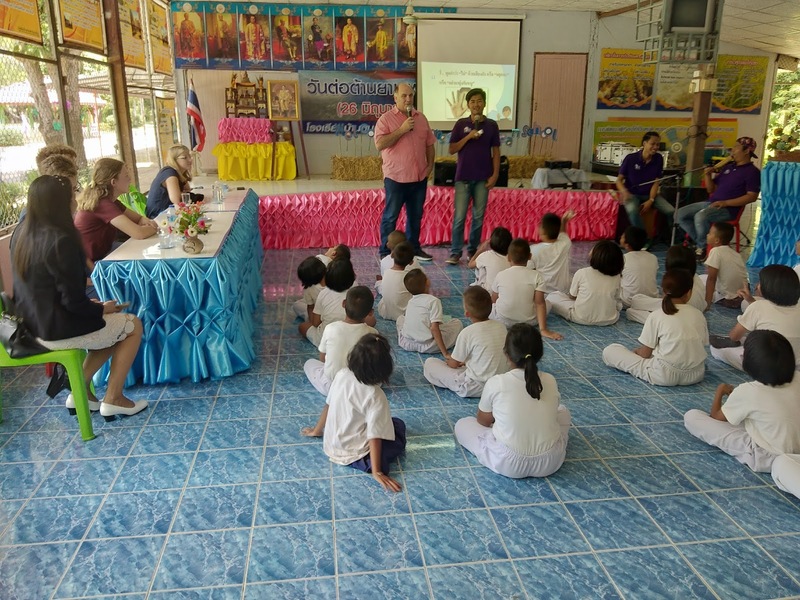 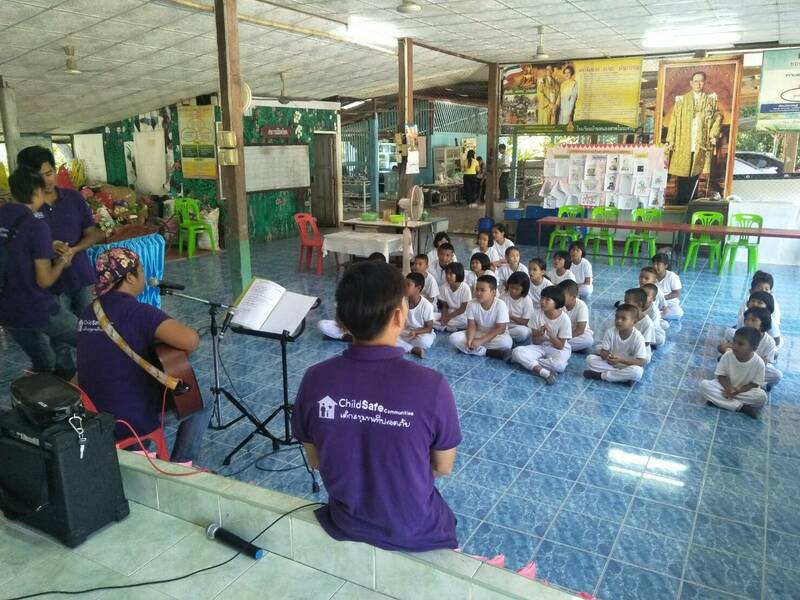 We took them to Nongsad Nonjarearn School enjoying some fun and games with the kids and also shared the Child Safe Communities program initiated by Ingvar and Anna Fredriksson - Ubon Ratchathani. 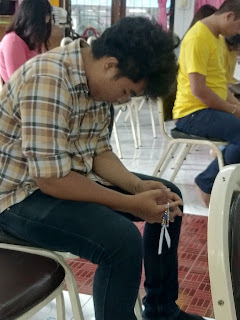 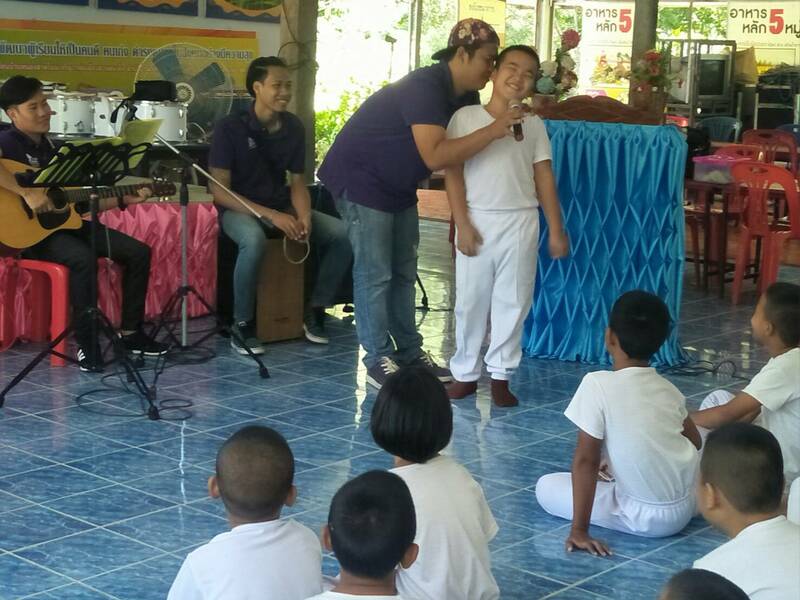 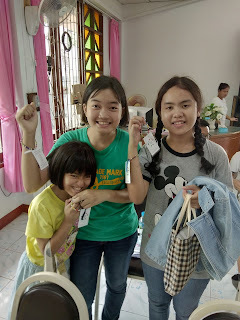 It was a blessed morning as it was the first time "Christians" visited Nongsad Nonjarearn School. 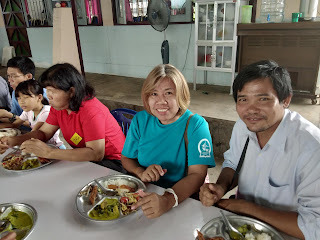 The school Director, "Lola" is a friend of ours whom we met at Ban Makrud School in Kanthararom. 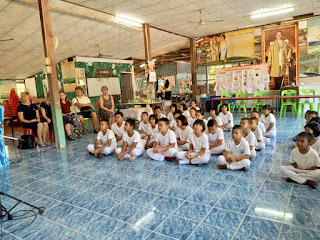 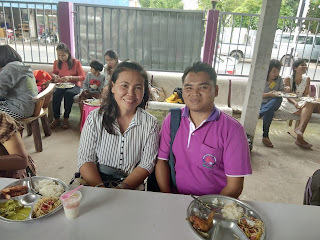 Lola was transferred to Nongsad Nonjarearn School from Ban Makrud School where we have been serving for the last two years already . 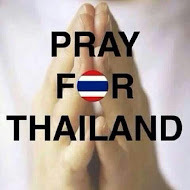 . . can you see God's hand at work here? Singing and playing along with the kids brought them so much joy and upliftment. 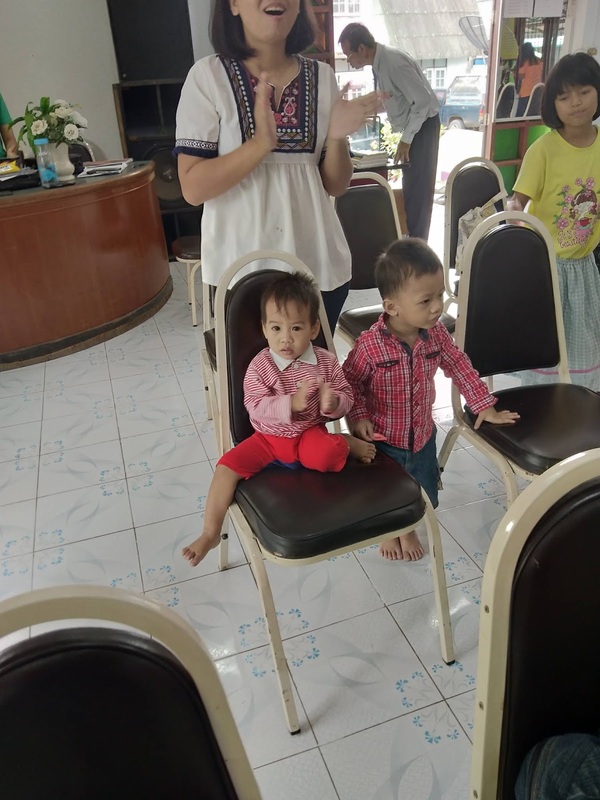 Kid's learning that God loves them and He will always look after His children. Sharing with the kids on who God is. 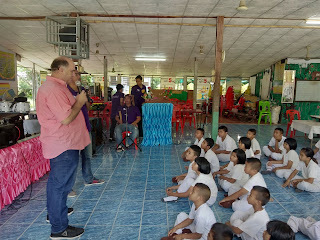 It was also heartbreaking to hear the kid's answers on a question I posed to them - "What are you afraid for at night when you go to bed" . 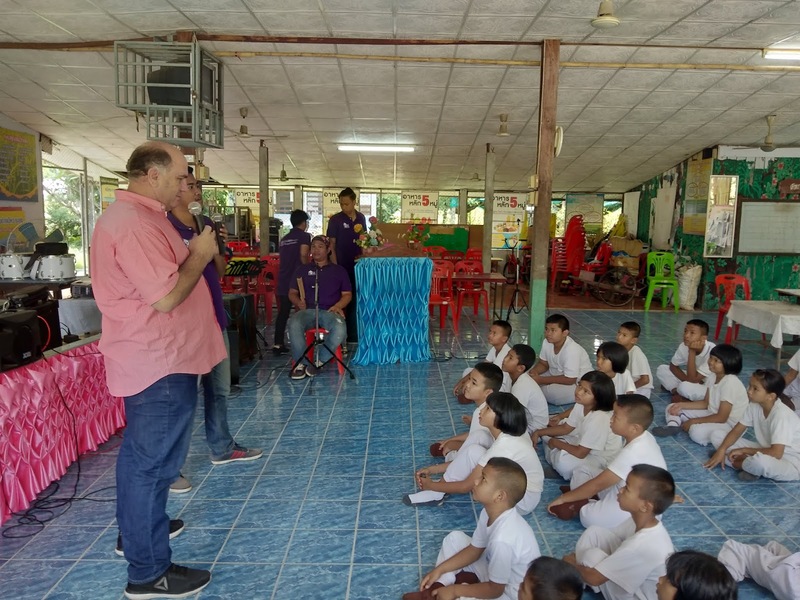 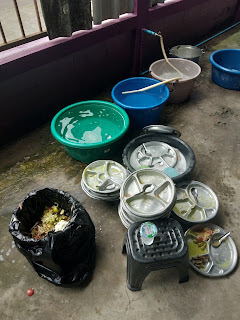 . . To live in so much fear and uncertainty was just the calling we received to come and share the Gospel of Jesus Christ to them in love, caring and fellowship with the school. 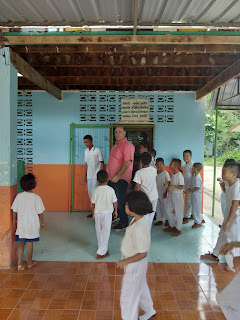 The children taking Andre on a tour through the school. 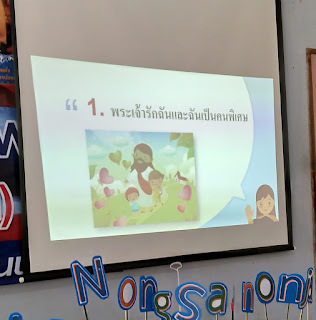 They were so excited and everyone just wanted to share a word or two with him. 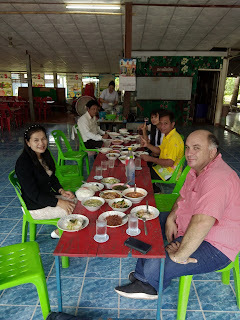 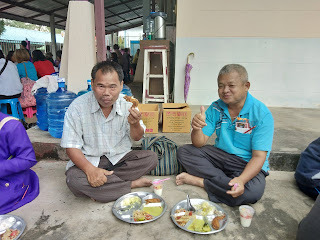 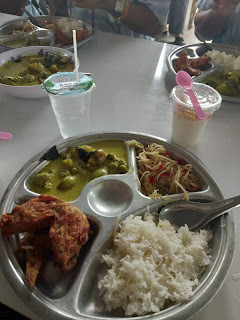 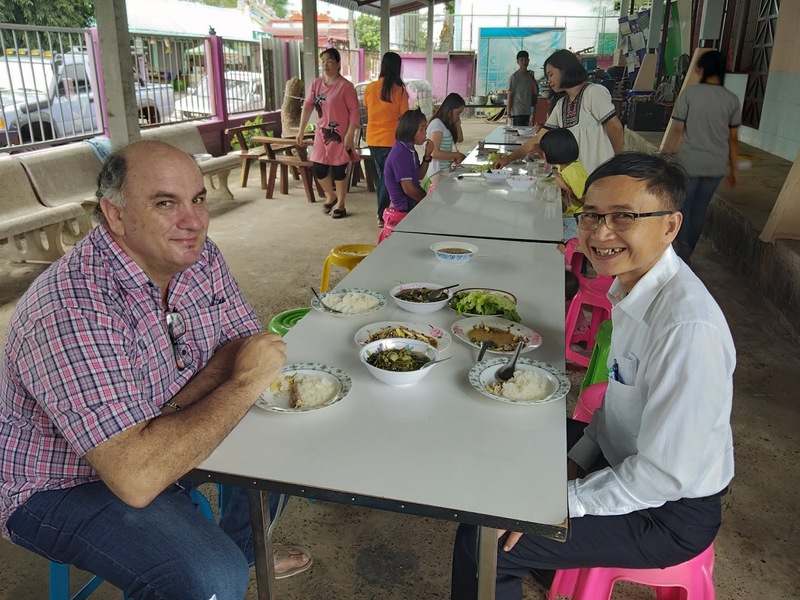 We were invited to have lunch with the teachers from the school.